New York: Peter Blum Edition. This book contains color reproductions and text in the form of a conversation between film-maker Stan Brakhage and artist Philip Taaffe. Edition of 2000, 160 pages, 70 color reproductions, 6 tipped-in illustrations, printed on Mohawk Superfine and sewn with a French Folded dust jacket designed by the artist, softbound. 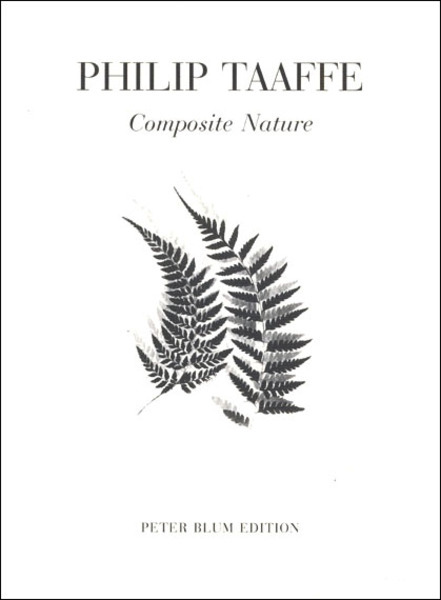 There is an edition signed by Taaffe and Brakhage available. Price upon request.